Arsenal continue their pre-season preparations with a clash against PSG in Singapore on Saturday (12.35pm), and you can follow updates live on Sky Sports' digital platforms. 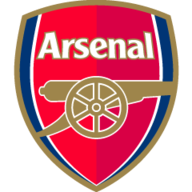 Arsenal looked impressive in stages as they drew 1-1 with Europa League winners Atletico Madrid on Thursday in the International Champions Cup, before being beaten 3-1 on penalties at the Singapore National Stadium. Emile Smith Rowe impressed for the Gunners, scoring a stunning equaliser for Unai Emery's side, with the new head coach giving the youngsters a fair run-out in the early stages of pre-season. Emery is looking forward to a reunion with his former club, but the Spaniard is focused more on intensifying pre-season conditioning ahead of the Premier League campaign. "I remain grateful to PSG. I had a good experience there and it was wonderful for my career and now I will play against them tomorrow, against a big club with great players," Emery told reporters at the Singapore National Stadium on Friday. "Not only is it another step in our preparations for next season but also a chance for me to meet many friends I worked with there." Meanwhile, PSG coach Thomas Tuchel insists timings meant he was never close to replacing Wenger at Arsenal. "To be honest I made my decision before Arsene Wenger made his decision," he said at the pre-match press conference. "I never got in touch and I made the decision to move to Paris before Wenger took the decision to resign. "I don't know if I was ever meant to be his successor or not. I didn't think about it because there was no question in the situation I was." Arsenal are still waiting on Lucas Torreira and Danny Welbeck to return following the World Cup, while Mesut Ozil could make an appearance after sitting out of the game against Atletico Madrid on Thursday. Smith Rowe could not take part in full training on Thursday due to a small blister, but should be available again. 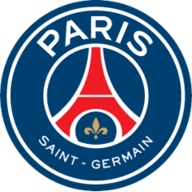 Several of PSG's World Cup stars, including France's Kylian Mbappe and Brazil duo Neymar and Thiago Silva, will be unavailable for the clash.